What do you mean we're discontinuing Calvin & Hobbes? Long before politicians started plotting against the First Amendment, arguing that their deeds are/were being misrepresented by a nasty “fake” news media with an antagonist agenda, we relied on the Fourth Estate to keep us safe. From corruption. From collusion. From crazy conspiratorial plots and criminal activity. The ’70s became the dawn of the investigative reporter, and with it, the rise of The Washington Post, the celebrity of journalists Bob Woodward and Carl Bernstein, and the greatest Constitutional crisis of our past time, the Watergate break-in. 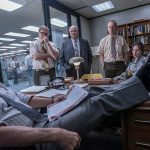 But as we learn in Steven Spielberg’s mesmerizing movie The Post, editor Ben Bradlee and owner/publisher Katherine Graham had a trial run at undermining the government. It came in the form of the infamous Pentagon Papers, a classified series of documents which showcased how the administrations of four Presidents–Eisenhower, Kennedy, Johnson, and Nixon–lied to the American people about the US involvement in Vietnam. Thanks to the efforts of whistleblower Daniel Ellsberg, the veil was pulled back on decades of deception, alerting the people that, perhaps, not everything the military says should be believed. 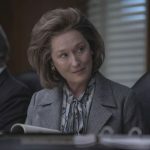 Now, Tom Hanks, Meryl Streep, and Matthew Rhys are Bradlee, Graham, and Ellsberg respectively in one of the most timely awards season films of the last two decades. In an era where our current Commander in Chief taunts the press over their presentation of the “truth,” this amazing thriller highlights the moment the press became a weapon, and the reluctant desire by the mainstream to tap into such mistrust. 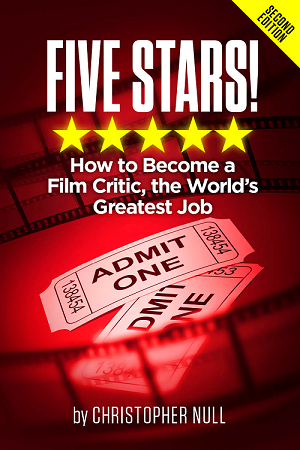 Efficient, effective, and more than a little earnest, it’s the story of determination, fear, and duty. With flawless performances and a tightly wound plot, it easily becomes one of the best films of 2017. Ellsberg (Rhys), a Defense Department analyst, leaked the Papers to the New York Times in the early ’70s, spawning ire and immediate repercussions from the currently sitting Nixon Administration. Bradlee (Hanks) is livid that his rival is getting all the headlines, and wants the story for his paper. Graham (Streep) supports him, but is facing huge blowback from the Post’s Board of Directors, mostly because she is a woman. When Ben Bagdikian (Bob Odenkirk) manages to get the scoop from Ellsberg himself, war is declared on the media. Soon, the staff of the Post are preparing for lawsuits, condemnation, and the kind of dirty tricks that would kill Nixon’s presidency just a few years later. 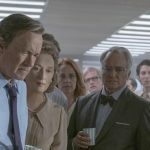 As a prequel of sorts to the brilliant All The President’s Men and a lesson in risk taking, The Post is prophetic. It argues the importance of a free and aggressive press while pointing a finger at politicians and public servants who vow to represent the people, and yet play fast and loose with the facts and truth. Unlike Watergate, which was pieced together over months of tireless footwork and ambition, the Pentagon Papers more or less landed in everyone’s lap. Therefore, The Post is really about taking a stand, about dropping the old ways for a more proactive form of reporting. Bradlee has to bolster Graham to make the right choice. She wants to, but also understands how gender plays into this predicament. When you add in the #metoo movement of 2017, The Post becomes even more. For all its well-written pontifications and prescience, this is still a movie about people making decisions that could possibly jeopardize their own reputations…and freedom, possibly. It was a time when standing up to the powers that be could be fatal professionally. A stark contrast to 2018 when media faces sell their soul to be on the “right” side of history. For The Post, the past is prologue. It’s also a telling indictment of where we are today.